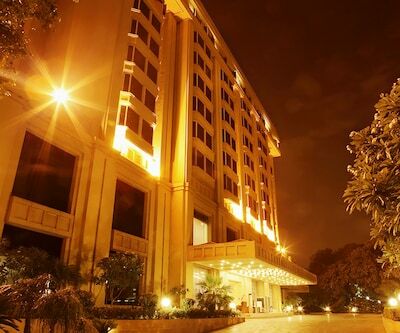 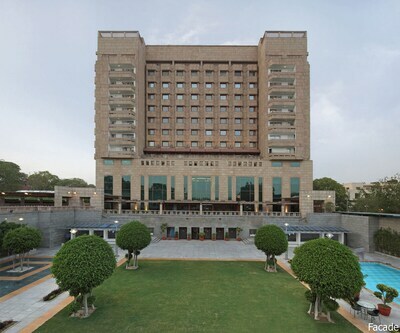 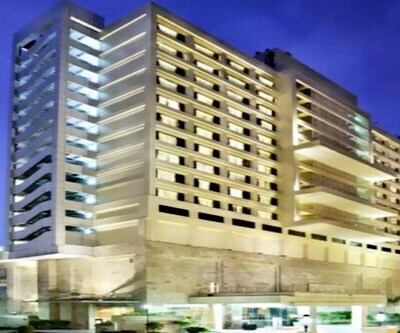 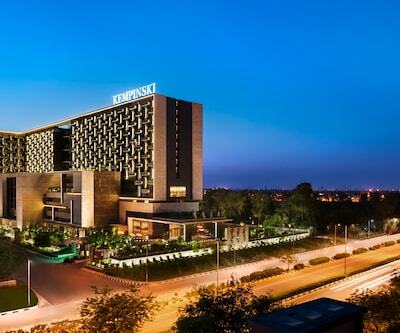 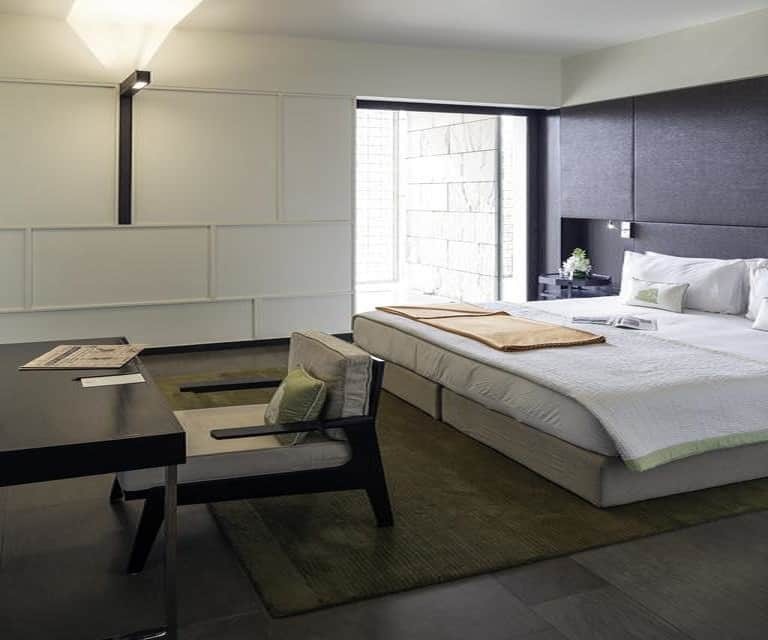 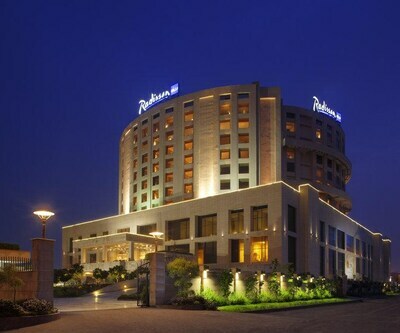 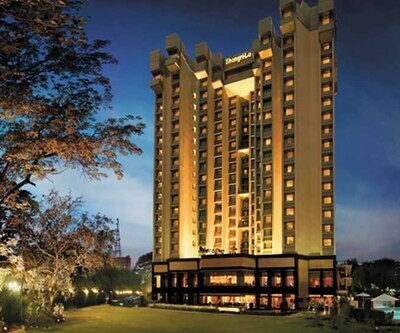 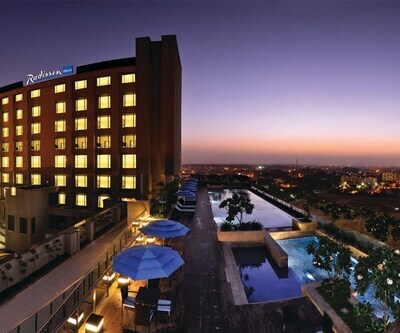 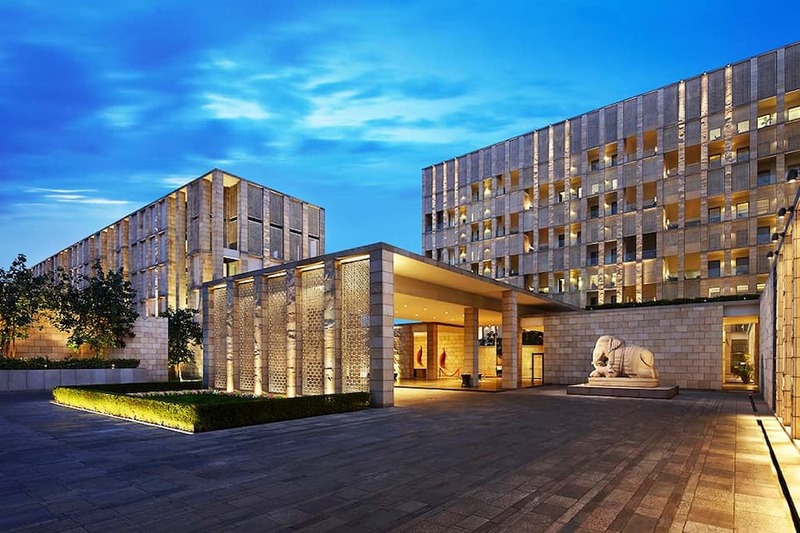 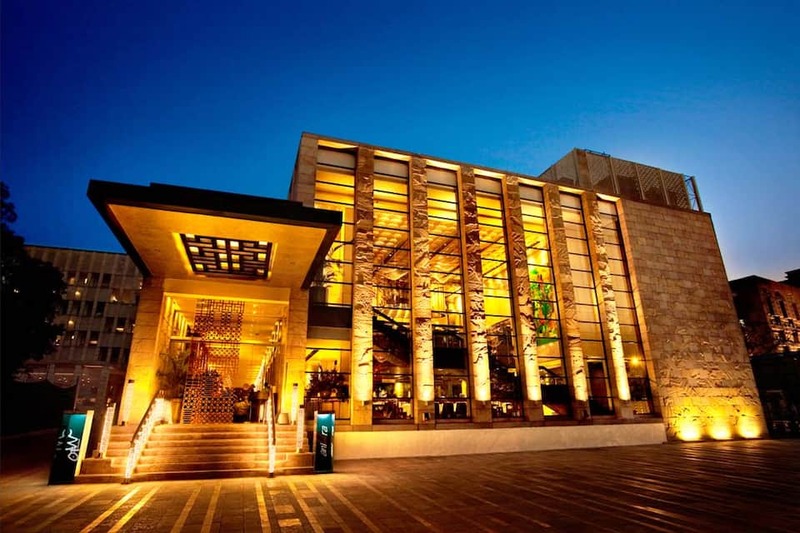 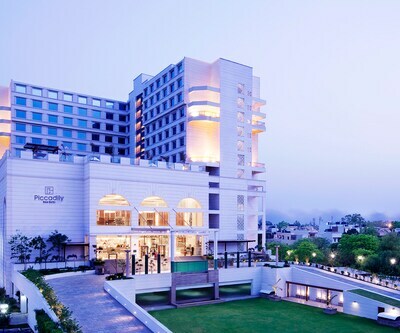 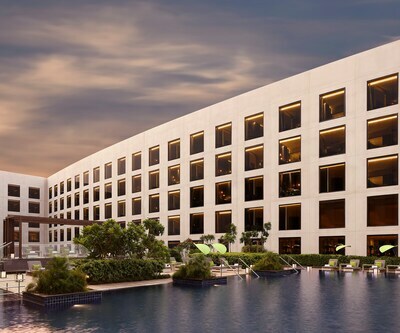 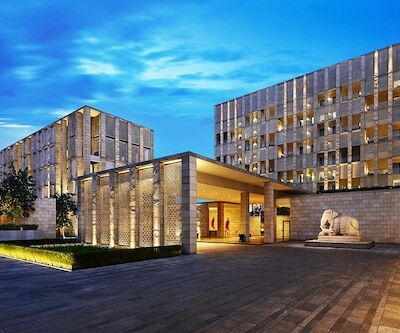 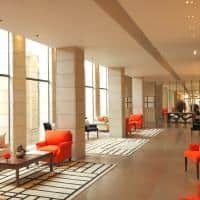 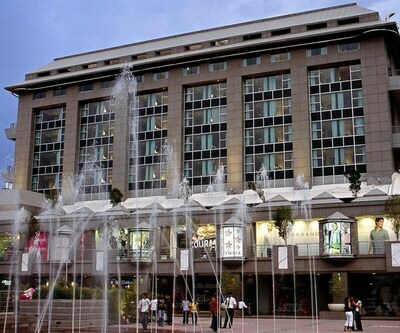 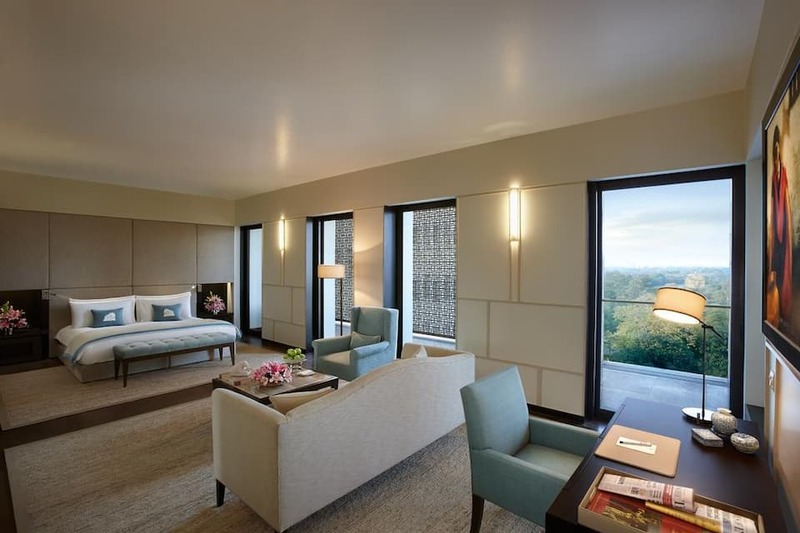 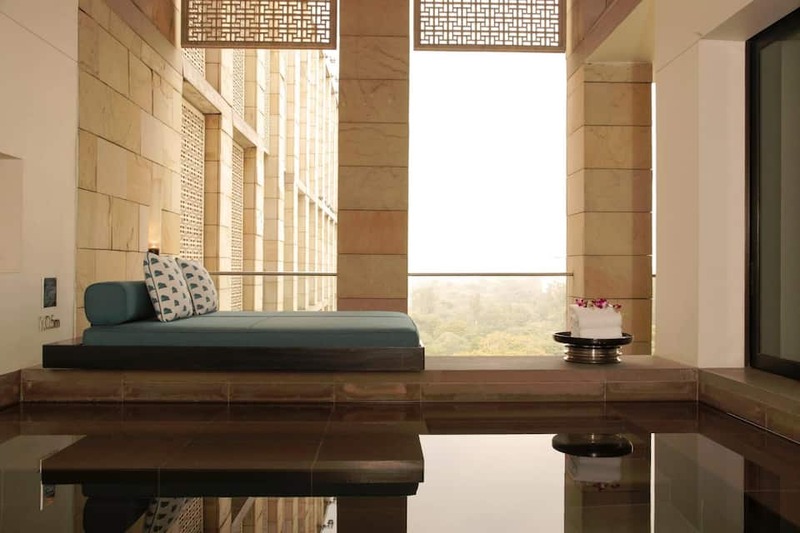 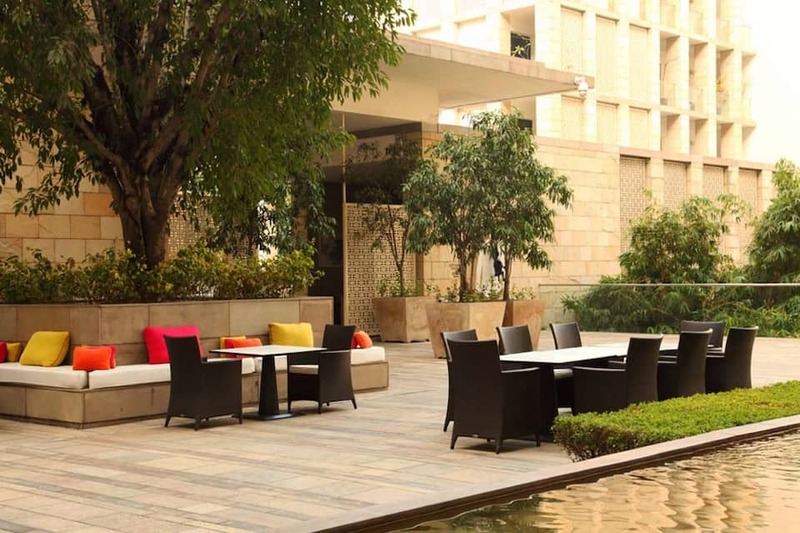 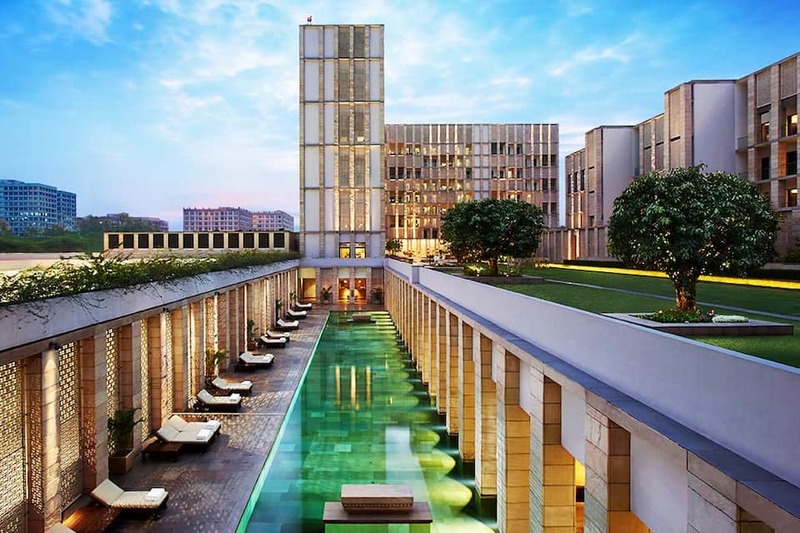 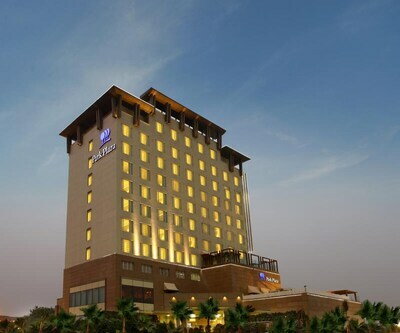 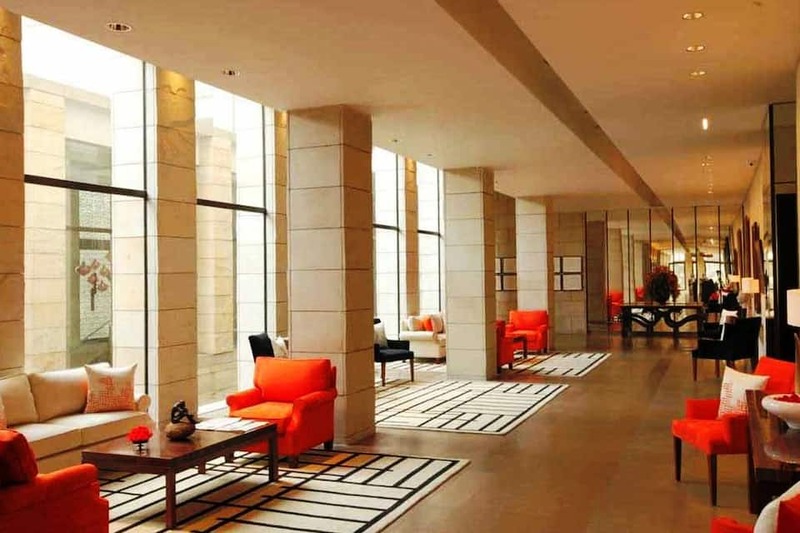 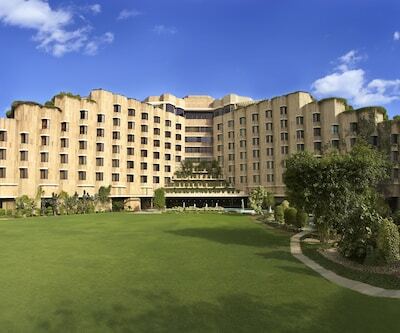 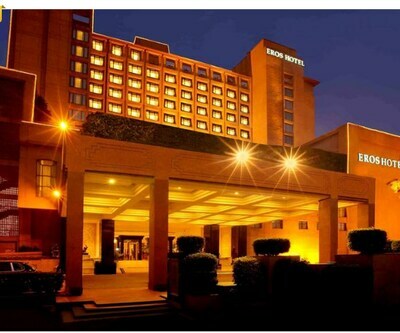 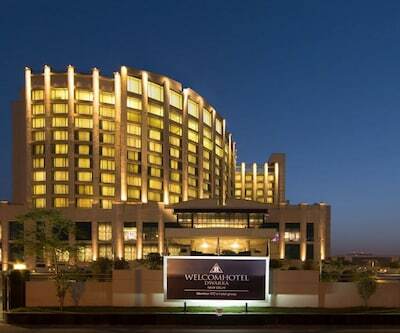 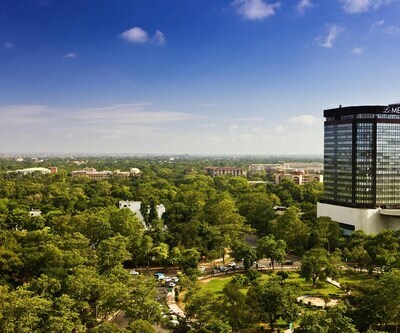 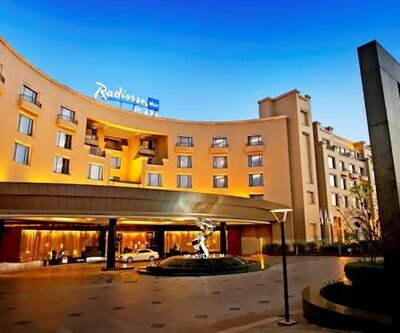 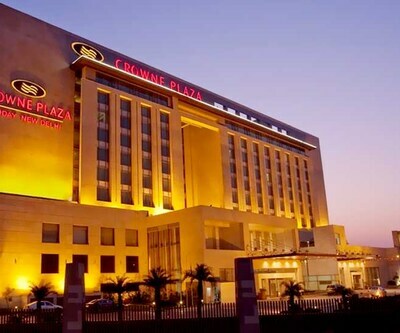 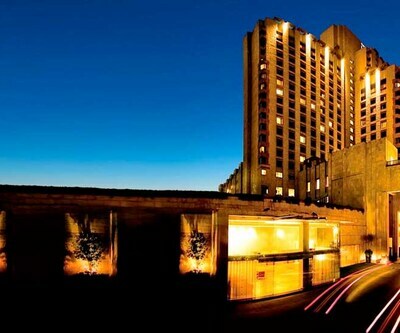 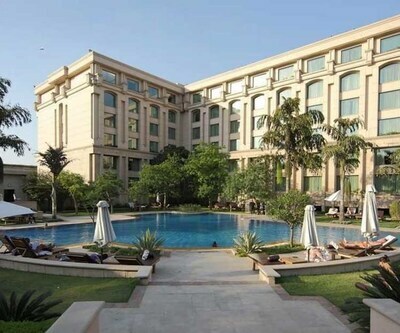 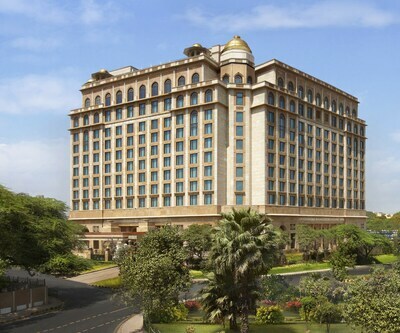 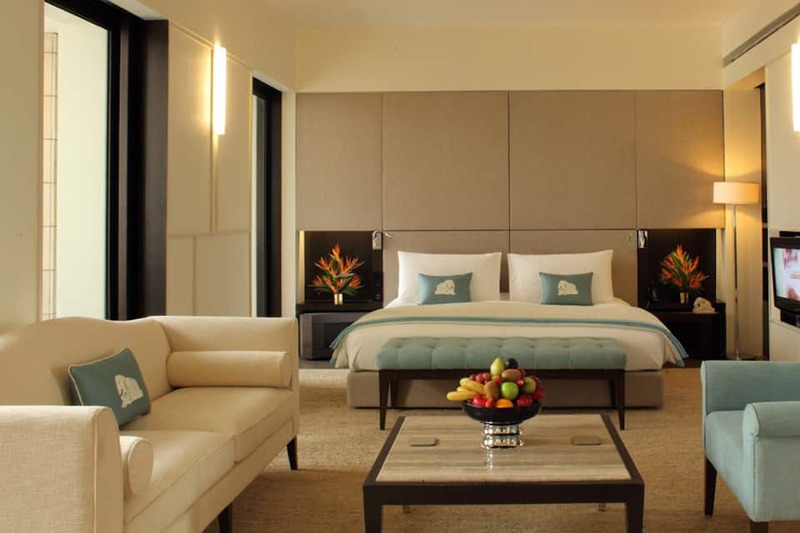 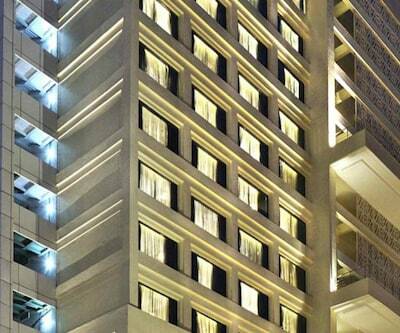 The Lodhi is a 5-star hotel suitably located at Lodhi Road in New Delhi. 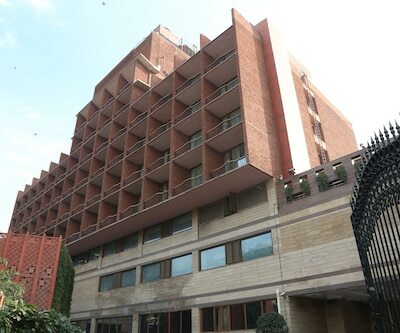 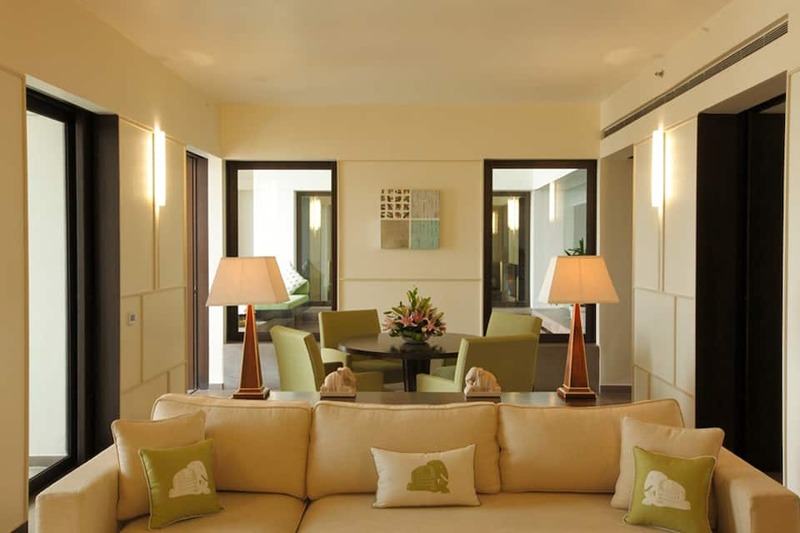 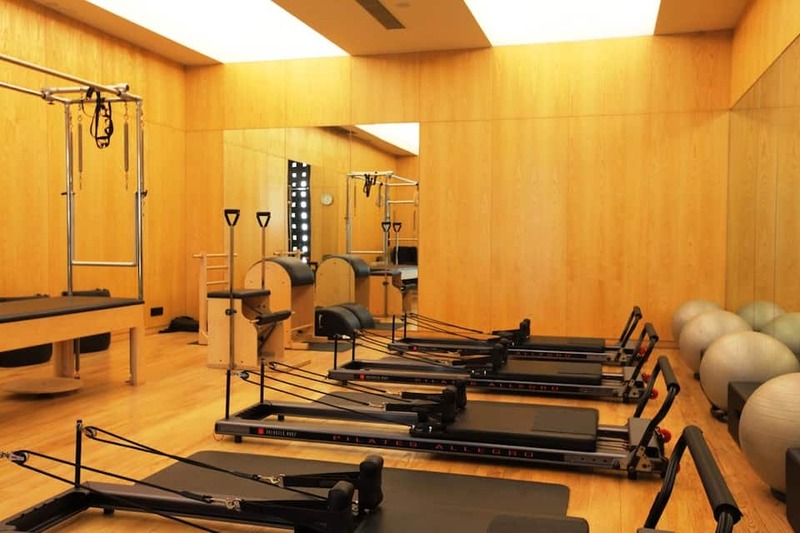 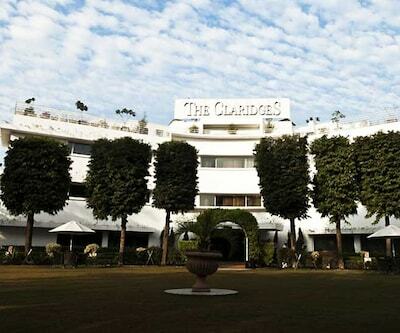 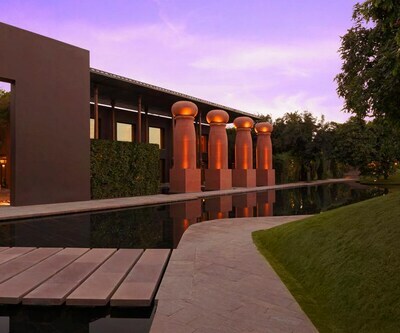 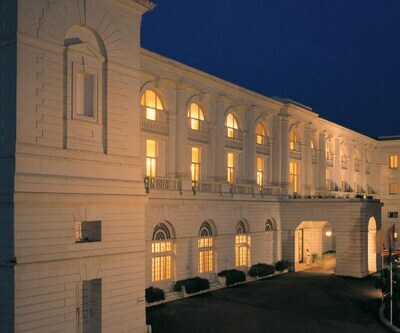 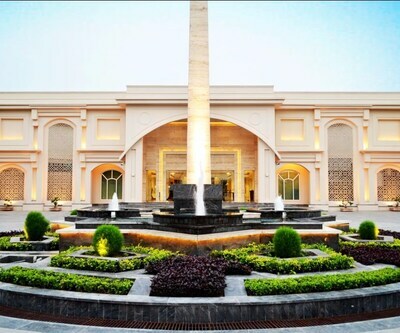 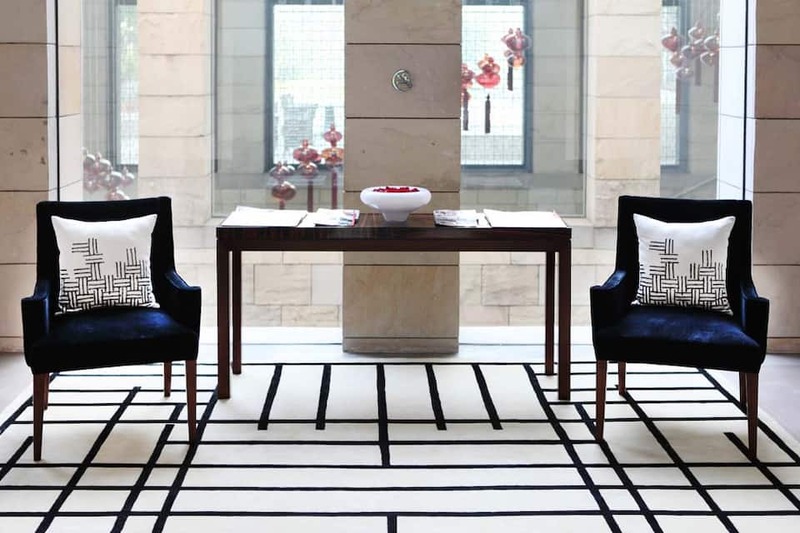 It is a 5-star property spread over seven acres on the green edge of Lutyens Delhi. 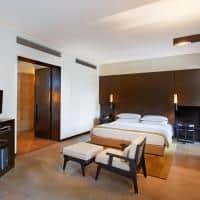 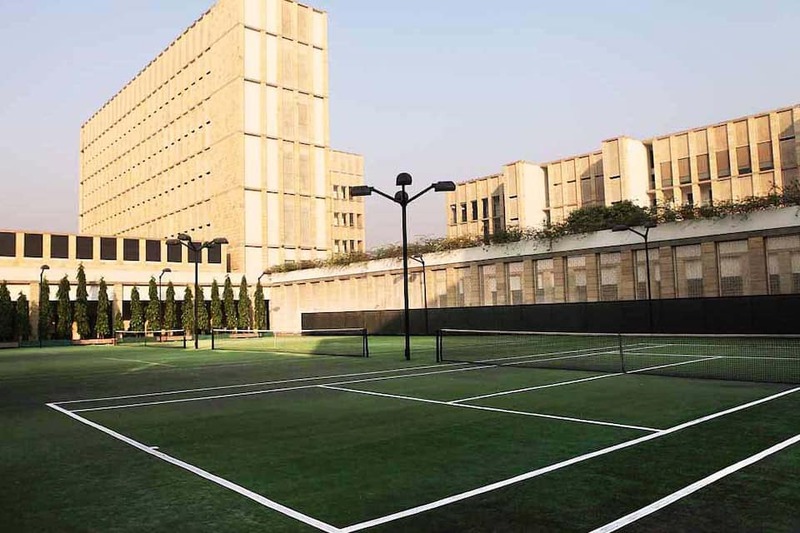 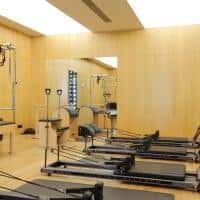 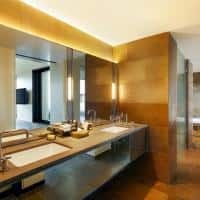 This luxury property is around 400 metres from Bara Khamba and 1 km from Delhi Golf Club and houses 40 affluent and ergonomic rooms equipped with modern conveniences. 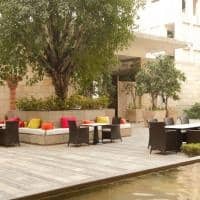 Bara Khamba is situated 400 metres from the property. 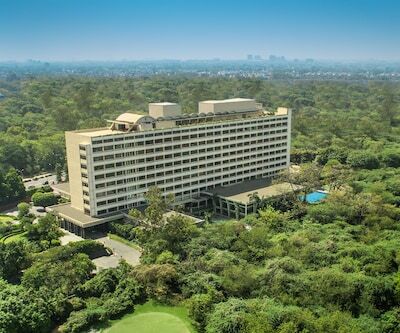 Delhi Golf Club is 1 km away, India Habitat Centre is 1.5 km away, Humayun Tomb is at a distance of 2.5 km from the property, Pragati Maidan is 5 km away, and India Gate is 2.5 km away from here. 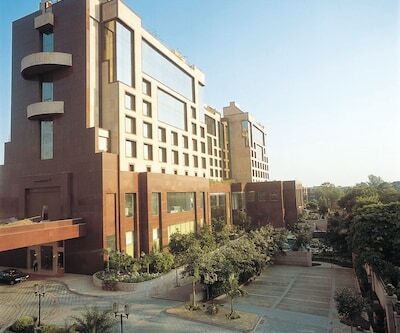 The Delhi International Airport is at a distance of 14 km from the property. 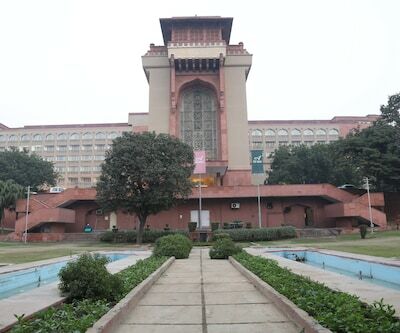 The Hazrat Nizammudin Railway Station is 1.5 km away from here. 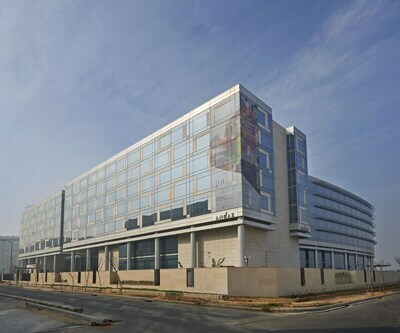 For the business traveller, the Global Business Park is 18 km away from the property. 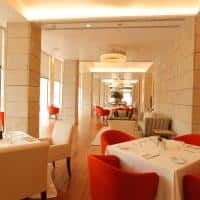 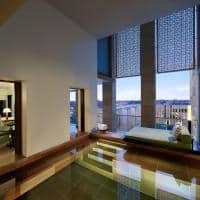 The hotel provides facilities like an enticing swimming pool, sophisticated fitness centre, spa, jacuzzi, and squash courts. 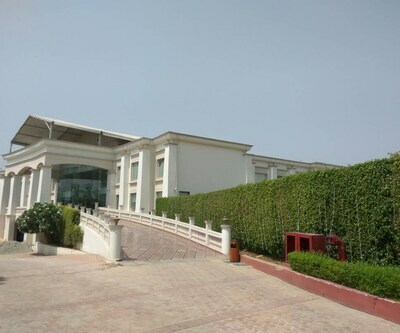 For meetings and other events, it has a business centre. 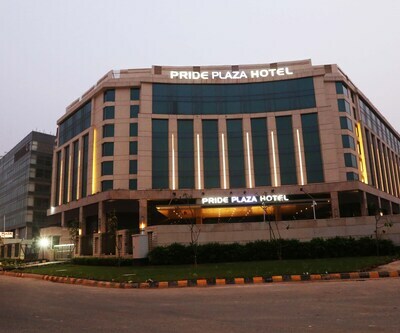 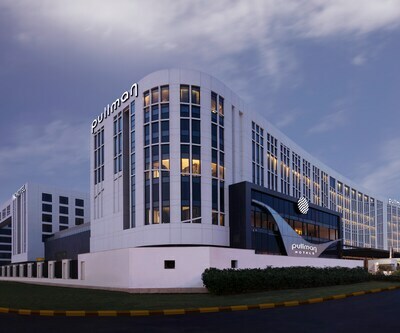 The hotel provides free Wi-Fi connectivity to its guests. 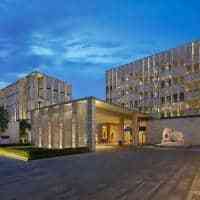 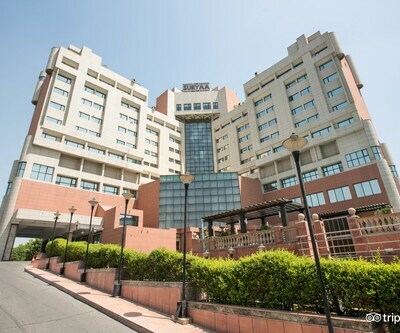 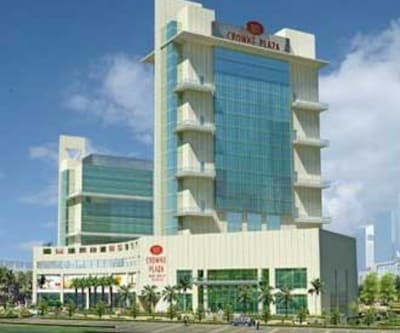 It also offers other facilities like travel desk, doctor-on-call service, and concierge. The property features 40 rooms with ergonomic decor. 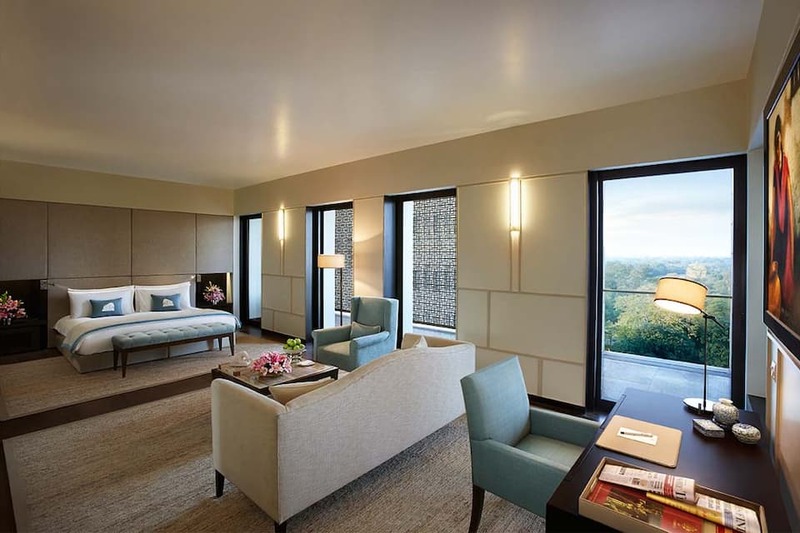 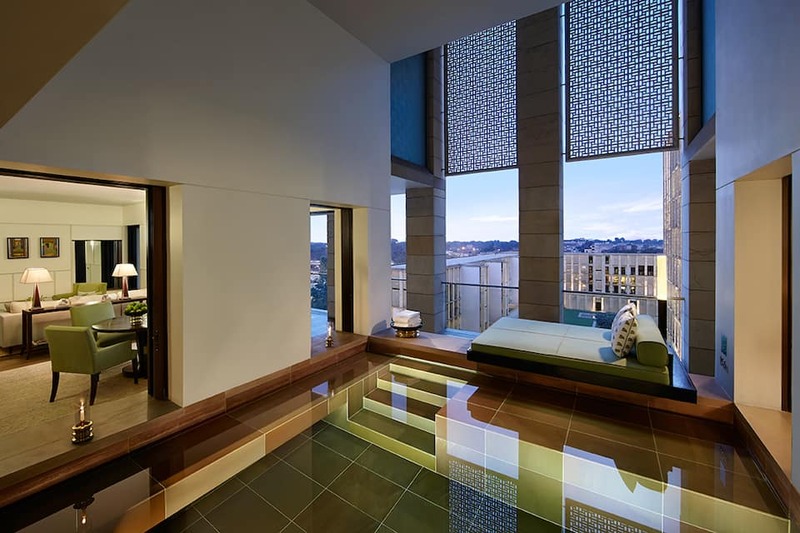 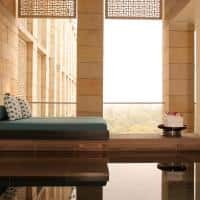 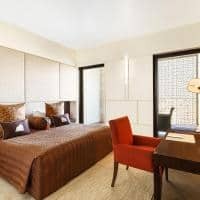 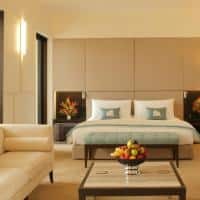 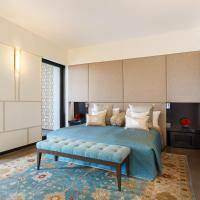 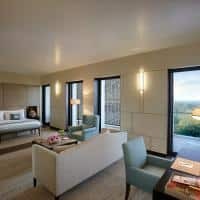 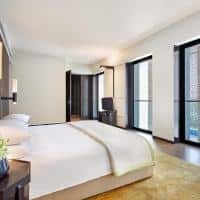 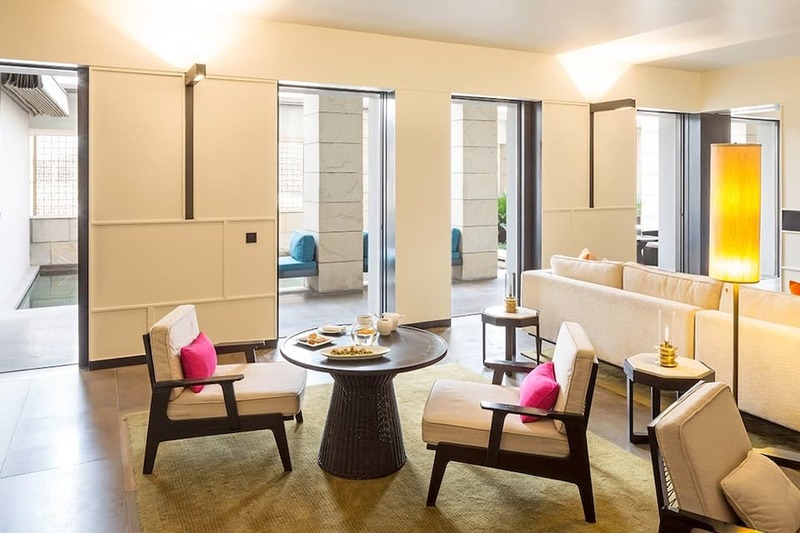 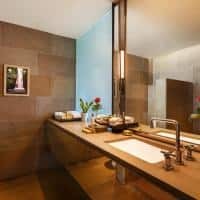 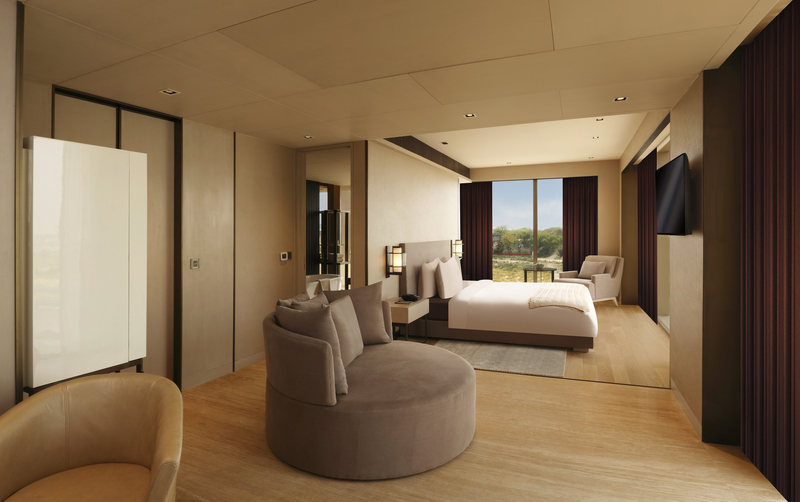 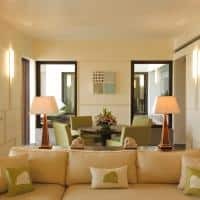 Guests have a choice of 11 types of rooms: Lodhi Standard Room, Garden Terrace Room without Plunge Pool, Lodhi Room, Lodhi Deluxe Room, Lodhi Premier Room, Junior Suite, Verandah Pool Suite, Garden Terrace Suit, Lodhi Suite, Lodhi Deluxe Suite and Lodhi Premier Suite. 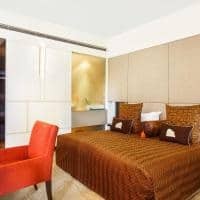 The air-conditioned rooms are equipped with a TV with satellite channels, tea/coffee maker, minibar, electronic safe, and Wi-Fi. 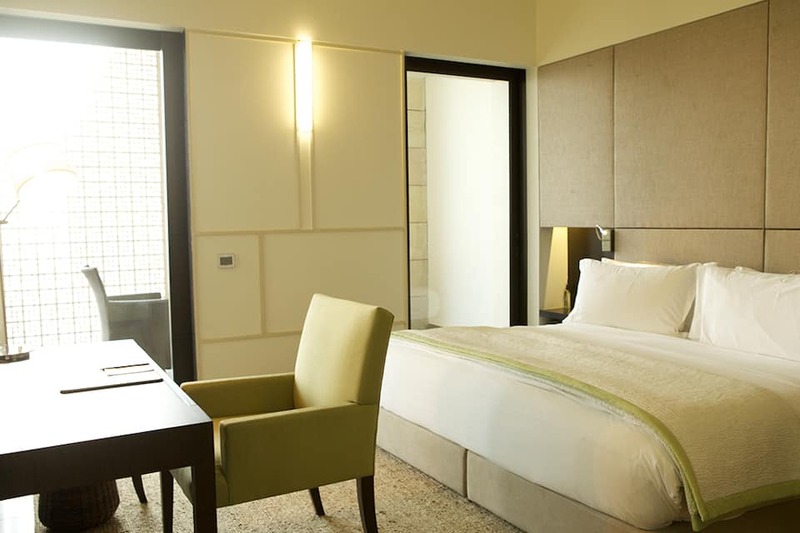 The in-room services include newspaper, room service, laundry, and ironing services. 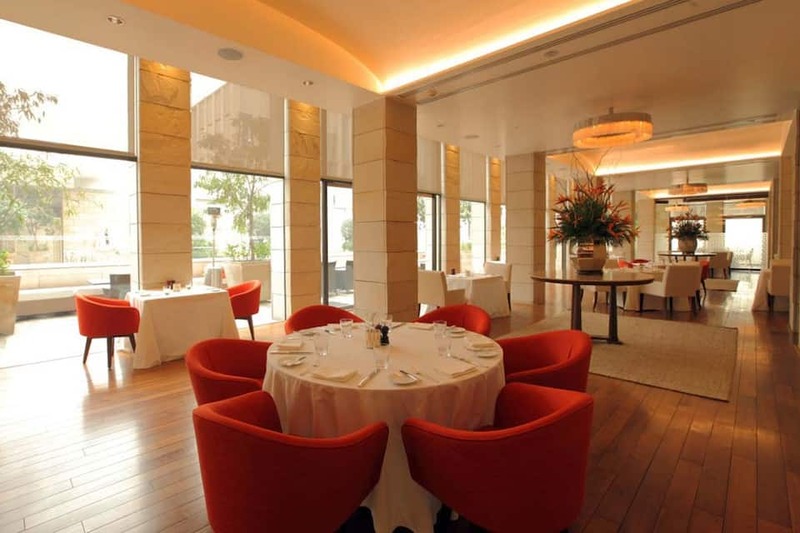 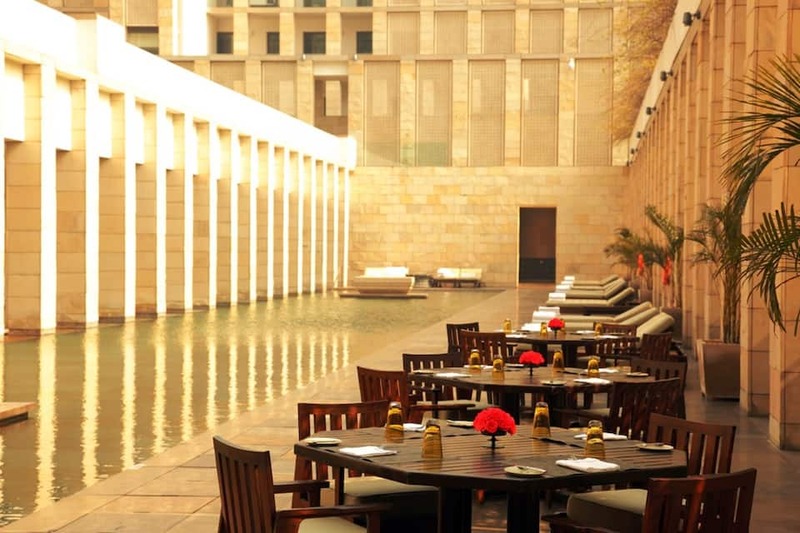 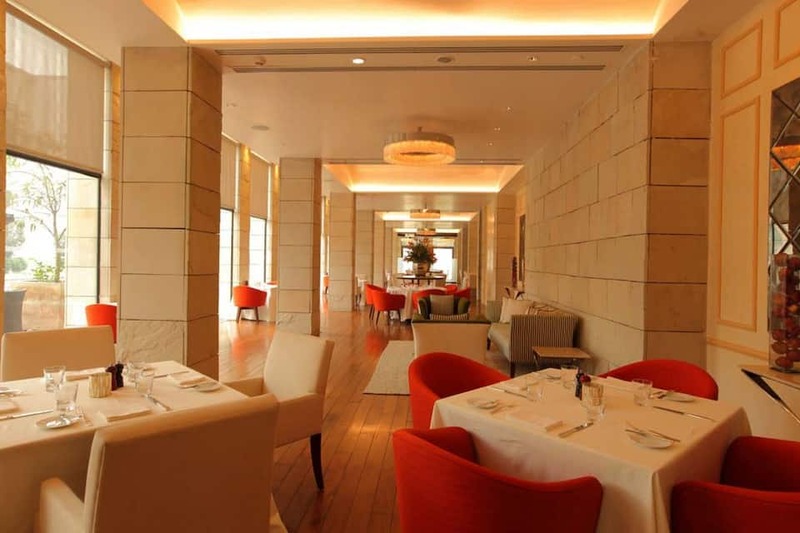 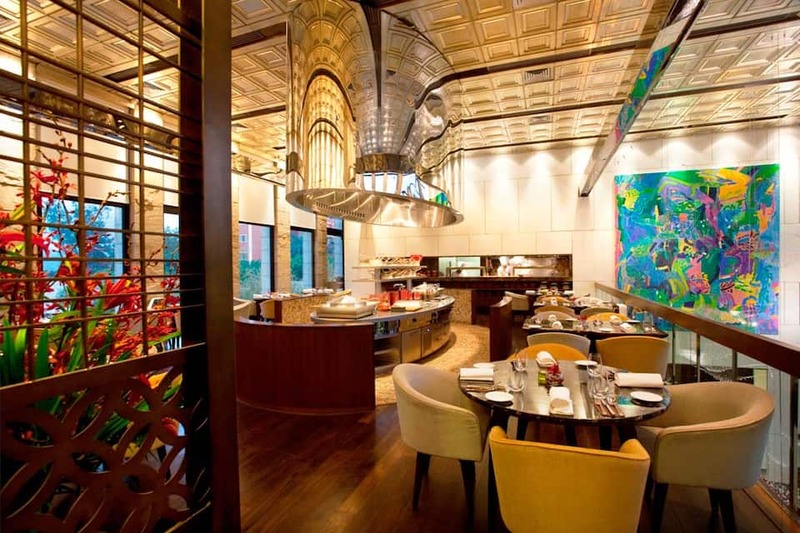 The Lodhi houses Elan, which is an in-house restaurant famous for its authentic Indian and multi cuisine delicacies. 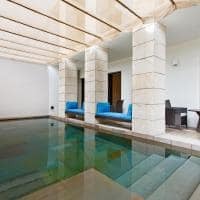 Pool Caf? 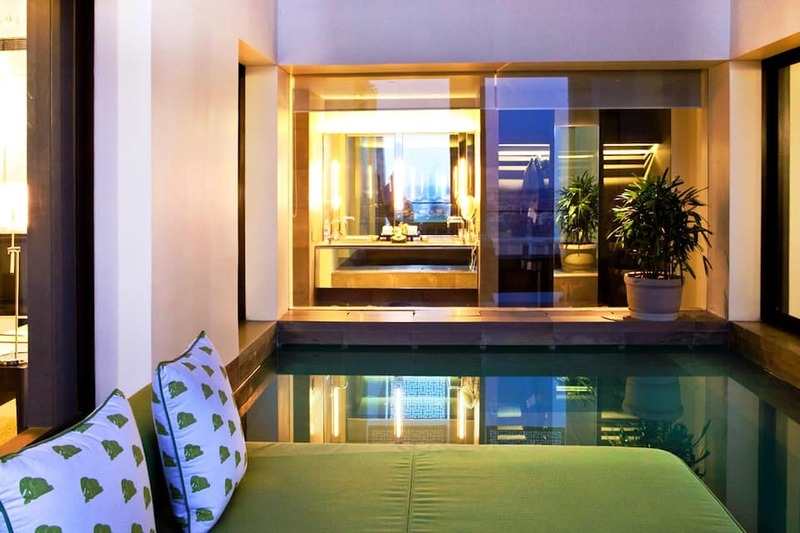 is a poolside in-house caf? 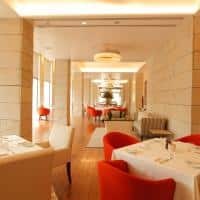 where guests can enjoy comfort burgers, sandwiches, and salads. 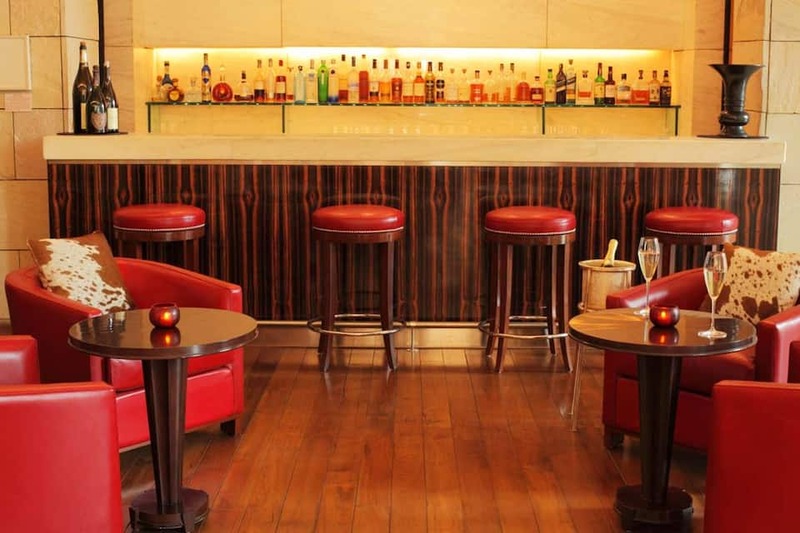 The Electric Room is an in-house uptown tempo bar.